Starbucks One Rockwell offers a Double Upsize Treat! - Hello! Welcome to my blog! 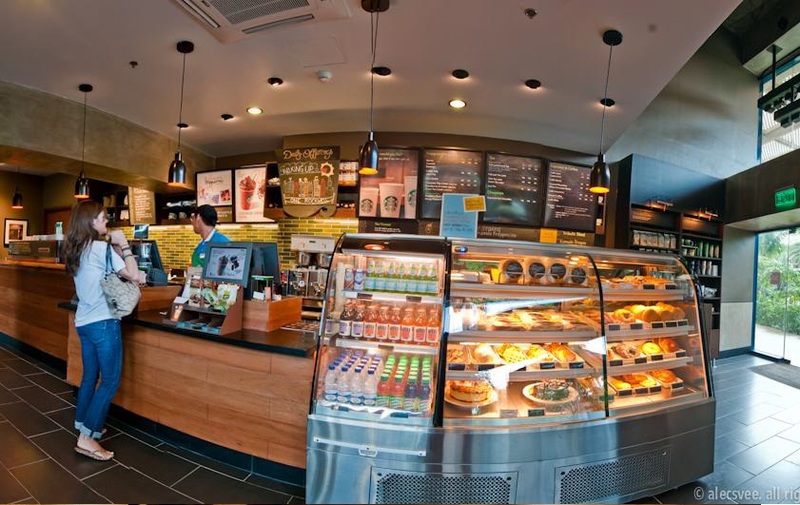 Starbucks One Rockwell offers a Double Upsize Treat! 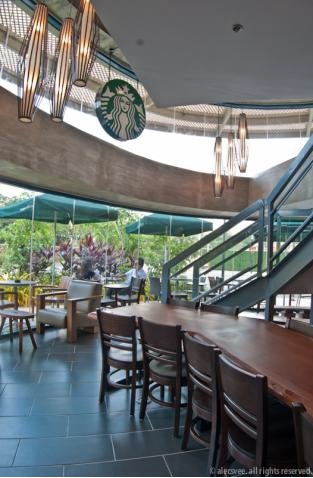 Have you been to the Starbucks store at One Rockwell? Well, I guess you should. Not only that it looks so great, so pretty because of having adapted the regional Modern concept design, but to simply put it, it just looks so awesome. Working around the pillars and some challenges encountered also in the earlier planning, but it worked great well with its industrial / cement finished store. Having some cozy and relaxing spaces just like your living room, it is accentuated by the lights. The One Rockwell branch offer variety of seating from regular height, tall tables with bar chairs, community tables and some soft lounge chairs. I gotta say, upon feasting my eyes on this branch, I would have really love to stay here and have meetings here like forever. 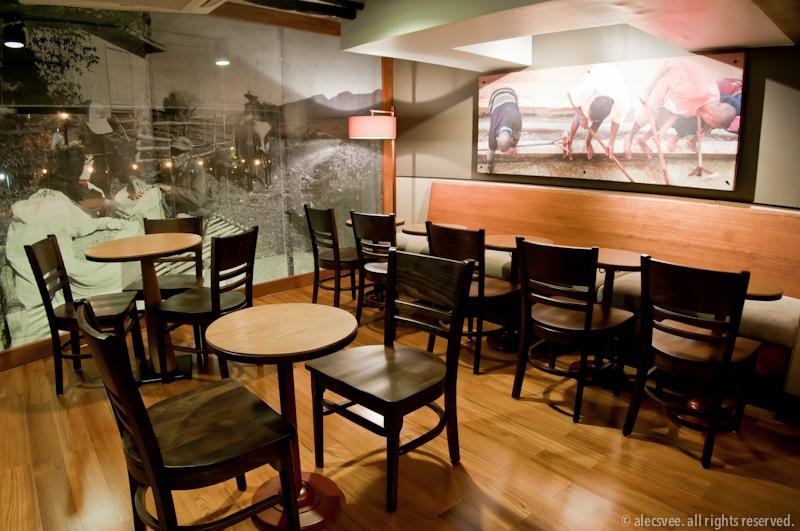 :) Starbucks still continues to use reclaimed wood for their hand-off and community tables. They also feature artworks using pictures taken locally and making the store unique among other stores. So where am I going with this? Well, you have more reasons now to go to One Rockwell because on June 8, 2012, you can have the ultimate coffee break because they will be offering a FREE DOUBLE UPSIZE TREAT on ALL BEVERAGE from 4PM to 8PM. 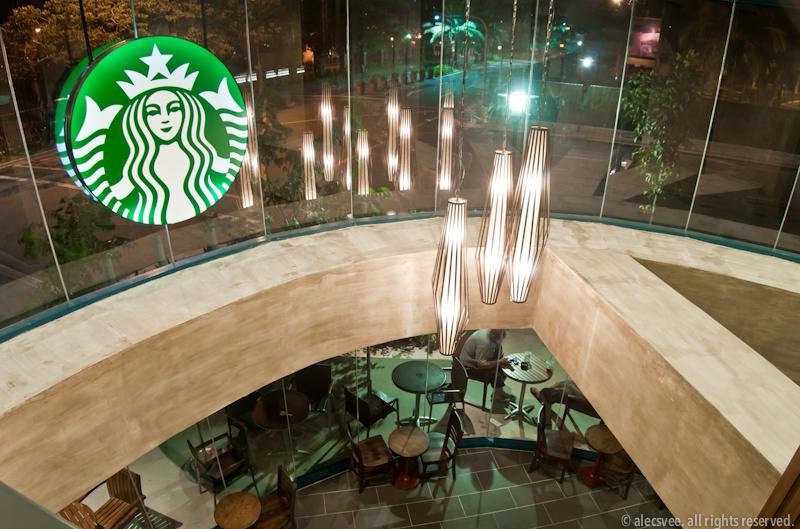 i'll be dropping by one day and have coffee to this branch..